A New Leaf: Saving the Moola: are you ready to buy a home? Let me just start this by saying Jason and I are totally and completely not ready to buy a home. We're more than fine with that and quite happy to stay in our little apartment. If you're in a situation where home ownership is not in your immediate future, you should really own that and be happy. There are many people who own homes who truly cannot afford it. I've been the victim myself of people saying, "You should own a home. Why aren't you buying a home? Why do you want to rent?" 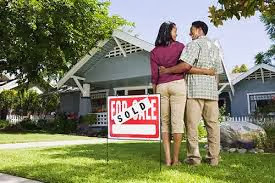 Don't feel pressured to follow "normal" people and go broke trying to keep your home. I'd rather keep paying rent and feel secure financially than grow attached to a home and kill my family emotionally and financially trying to maintain it. We have a big emergency fund. Suze Orman recommends eight months, and I have to say I agree with her. Actually, if you can swing it, I would really recommend a one-year emergency fund. Over time, Jason and I plan to build ours up to this point, although we will likely purchase a home before we have a solid year's worth of expenses. We have a down payment for our future home. Ideally, we would have a 20% down payment. This will allow us to skip paying for PMI (mortgage insurance). If you can't swing that big of a down payment, that's okay. You can purchase a home, however, once you have enough equity in the home, you'll want to reach out and be sure to get PMI removed so you don't keep paying for it. A home makes more sense for us financially. Right now, it really does not. I don't know how often I hear people say, "Well, a mortgage would be a lot less per month than rent!" In some circumstances, yes. In our circumstances and in most circumstances where you're taking all of the home ownership costs into account, it is not. Owning a home isn't just about having a mortgage. You also need to pay property taxes, house insurance, repairs, maintenance and so on. We don't need to own any sort of lawn tools to care for our lawn. We don't need to have a home fund to pay for a broken refrigerator, oven or toilet. At this point, if we bought a home with a 20% down payment, we'd save about $900 a year. While isn't just pennies, it's also not enough to make us want to run out and buy a home (plus, we don't have a down payment right now). We have a better idea of where we'll be living forever. For all I know, we could be living in another state in a year. Too much is up in the air right now, even if we had the money for a down payment. We know the size of home we really need. Honestly, we just had our first human baby (we also have a fur baby!). We're just starting our family. I have no idea how much more our family will grow. How in the world would we choose a house when we don't really know how many bedrooms or space we will need? Buying a home isn't just about money. Will your in-laws or parents need to live with you when you're older and they're older? They may need live-in care at some point. Will you be staying in the area your home is in forever? If not forever, how long? Your job may seem stable, but it might not be. And one day, you may wake up and realize God is calling you to pursue a different career. Do you have enough money to pay for all the repairs your home will need? Or do you know how to fix the repairs yourself? Home repairs are a "when," not an "if." Jason and I are perfectly content to rent an apartment while we figure out the rest of our lives. Even though he's in his 30s and I'm quickly nearing that age (which kind of makes me feel like we should have our lives figured out already), I remind myself on a near-daily basis that we're still very young. We have a lot of living left to do. Our daughter is a good reminder of that for us. Home ownership may not come for awhile, and we choose to be content where we are. This is where we're meant to be and honestly, we're just happy we have a roof over our heads.